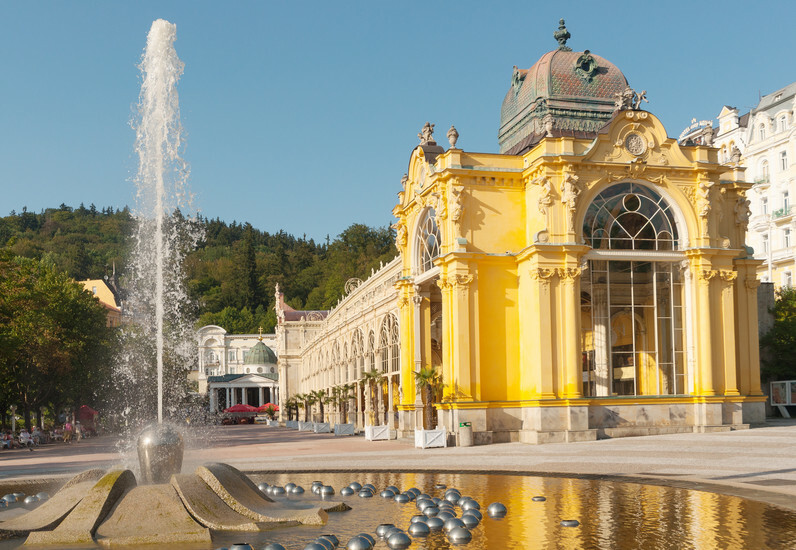 Mariánské Lázně – one of the most charming spa places in Europe, splendid pearl surrounded by green forests rich in natural healing springs and one of the cultural centers of the West bohemian region. More than two centuries ago, was this area hostile, abandoned and dominated by swamps and deep forests. When we look at Mariánské Lázně and its beautiful parks, colonnades, and spa hotels nowadays, we can hardly believe this fact. Since the 1197, the land of today’s spa town was in the possession of a monastery in Teplá. The monks were the first to discovered the healing power of the springs in the local forests, but their surroundings still remained uninhabited. Later, at the end of the 18th century, crucial changes was began resulting in foundation of Mariánské Lázně. In 1779, the monastery doctor Johann Josef Nehr proved and was actively promoting the healing effects of the springs. 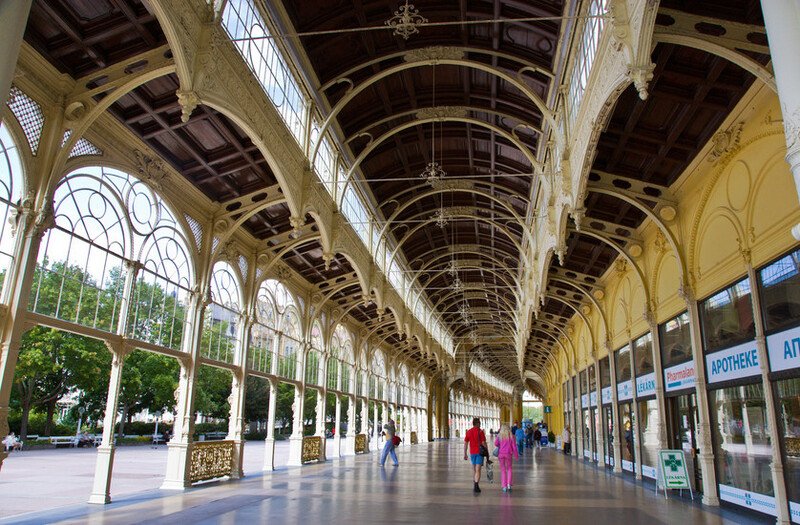 Consequently, the first baths and spa pavilions build-ups were initiated thanks to the abbot of the Teplá monastery Karel Kašpar Reitenberger, at the beginning of the 19th century. In 1808, this small settlement was named as Mariánské Lázně. News about the miraculous healing springs situated in Mariánské Lázně quickly spread and the number of spa patients was increasing enormously. 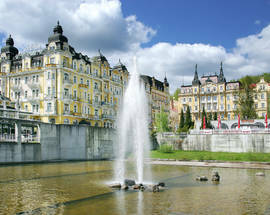 In 1818, Mariánské Lázně was declared as a public spa and, from the time on, the golden era of this town began. An expansive built-up of modern spa hotels, new pavilions, and public buildings started. Thanks to the extensive and sensitively carried-out terrain transformation, designed by the architect Václav Skalník, attractive parks were created and the landscape of Mariánské Lázně acquired its unique character. 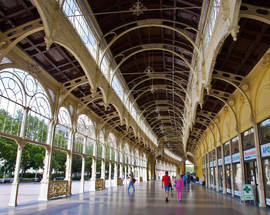 Former small spa town expanded and became one of the most modern and elegant towns in Europe. 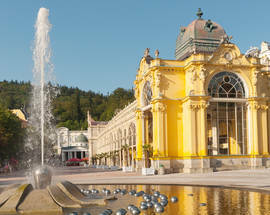 During the following years of its glory, Mariánské Lázně was visited by many famous and important guests, for instance the British king Edward VII., Johann Wolfgang Goethe, Fryderyk Chopin, Mark Twain, Nikolaj W. Gogol, Thomas Alva Edison, Franz Kafka, Jan Neruda, Antonín Dvořák, Tomáš G. Masaryk, and many others. The development of Mariánské Lázně was unfortunately interrupted by the 1st and the 2nd World War and was consequently determined by the 40 year long period of communism and centrally planned economy. However, Mariánské Lázně nowadays welcome guests from all over the world again. Any tourist as well as local inhabitans can enjoy the beauty of local nature, take advantage of its healing springs, and feel the spirit of this unique spa town. 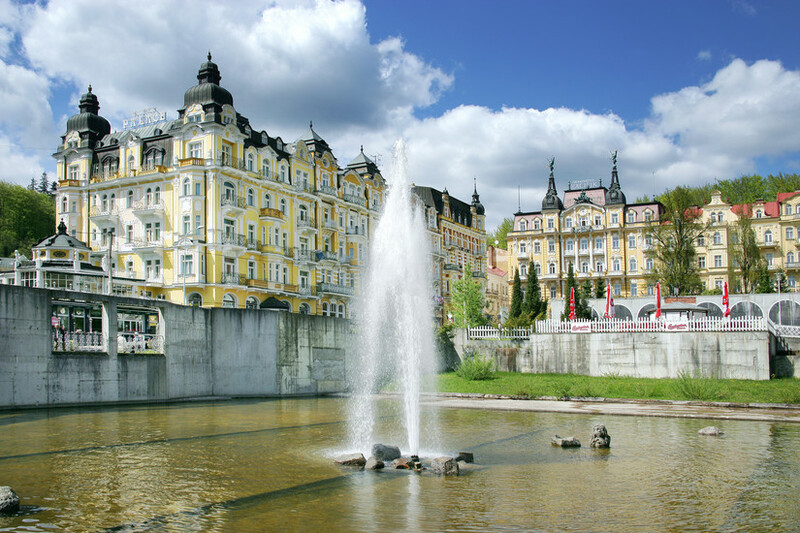 During its not very long but impressive history, Mariánské Lázně managed to become a world known spa town, belonging to the jewels of the Czech Republic.